(4:05) How did you come up with the idea for RelyMD? (8:50) What can you treat via RelyMD? (11:57) Does telemedicine saves money vs. an emergency room or urgent care? (15:13) We are seeing that Telemedicine is now a benefit offered by employers, do you guys participate in that? And If so how does that work? (17:03) How do you go to market? Who is your customer? 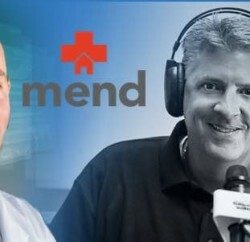 (17:51) What advice would you give to our listeners that are potential #telemedicine patients? (19:12) Are there any anecdotes or stories regarding your service that you might be able to share? (21:15) What’s next for RelyMD? What new offerings will you be providing your customers as we head into 2016? 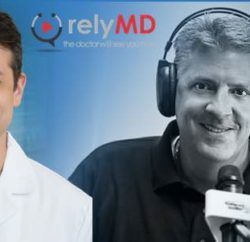 Visit RelyMD on the Web and follow them on Twitter and Facebook! Dr. Park is a practicing board certified emergency medicine physician at Wake Emergency Physicians, PA in Raleigh, North Carolina. He currently serves as the director of virtual healthcare delivery for RelyMD, a direct-to-consumer telemedicine service which he co-founded. He serves on the board of directors for Wake Emergency Physicians and has served as their business development director. Prior to Wake Emergency Physicians, Dr. Park was a core faculty member at Duke University Medical Center where he was an attending emergency medicine physician. While at Duke he served as the director of emergency ultrasound responsible for the education of residents with respect to bedside ultrasound for direct patient management. While at Duke he founded Ultrasound Ventures, a startup in the Research Triangle Park where he now serves as chief medical officer. Dr. Park completed both his fellowship in emergency ultrasound and residency in emergency medicine at Alameda County Medical Center – Highland Campus in Oakland, CA. He received his doctorate of medicine at the University of North Carolina – Chapel Hill. Dr. Park received a bachelor of arts in economics at Columbia University. Subscribe Now to get the latest from Intrepid Healthcare sent DIRECT to your INBOX! 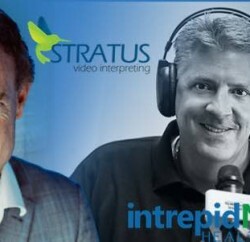 Or click here to subscribe to intrepidHEALTHCARE on iTunes! JOE LAVELLE is a Healthcare Management and Technology Consultant with a record of successfully meeting the business and technology challenges of diverse organizations including health plans, health delivery networks, and health care companies for 25 years. Joe worked his way up through Cap Gemini and Andersen Consulting to the partner/VP level of at First Consulting Group, Technology Solutions Group and Santa Rosa Consulting. After running his own company, Results First Consulting, for 12 years Joe Co-Founded intrepidNow with Todd Schnick to create incredible content to dramatically improve the sales and marketing efforts of their clients.